Harvard University: Established in 1636, Harvard University is a private Ivy League university located in Cambridge, Massachusetts, United States. It is the oldest university in the state. The university is named after its first benefactor, John Harvard. Natural sciences and mathematics, life and agricultural sciences, clinical medicine and pharmacy, social sciences, arts, business, engineering/technology and computer sciences are among the major courses offered. Drew Gilpin Faust is the president. 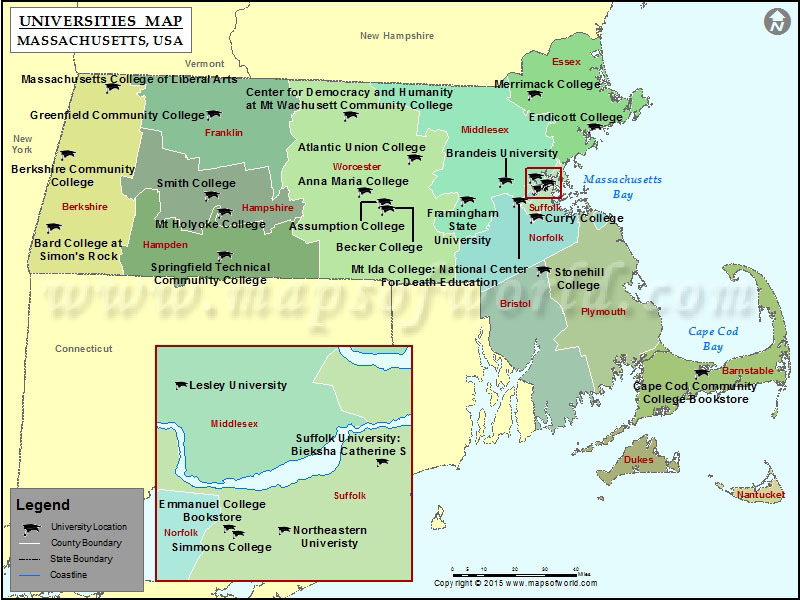 Boston University : Located in Boston, Massachusetts, Boston University is a private research university. Established in 1839, it is one of the largest private universities in the United States with more than 4,000 faculty members and more than 31,000 students. The institution is affiliated with the United Methodist Church. The major courses offered by the institution are theology, medicine, law, management, engineering, fine arts, and dental medicine. Robert A. Brown is the president. American International College: Established on July 18, 1885, American International College is a private, co-educational liberal-arts college. 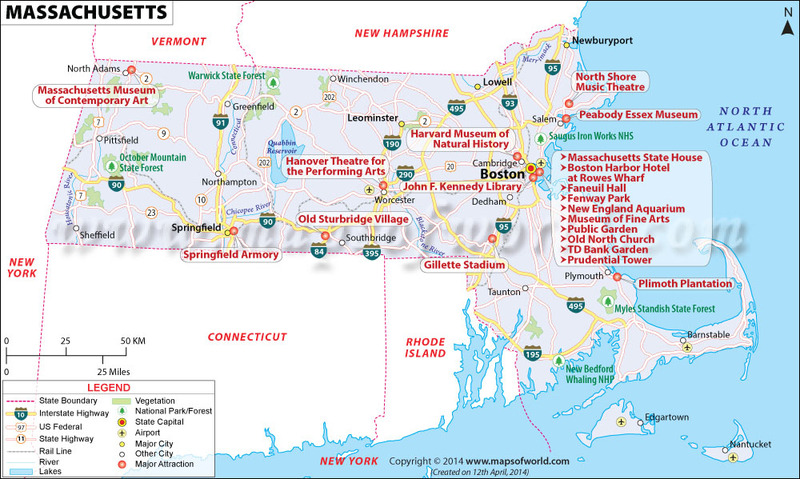 It is located in the Mason Square neighborhood of Springfield, Massachusetts. The college offers undergraduate and graduate programs in education, physical therapy, arts, and business administration. The president of the college is Vincent M. Maniaci.